Travel Blogger Matt Long posted an article March 11, 2013 on Landlopers.com titled "20 Things Every Smart Traveler Should Know." The article is full of useful tips such as "How to use a needle and thread" and "How to say "No, thank you" wherever you are traveling. But what caught our eye was item #12 - "Proper use of chopsticks." Of course Matt is referring to both how to use chopsticks and the proper etiquette for using chopsticks where you'll be traveling. See our instructions for how to use chopsticks and see our post on The Definitive Guide to Chopsticks Etiquette Around the World. 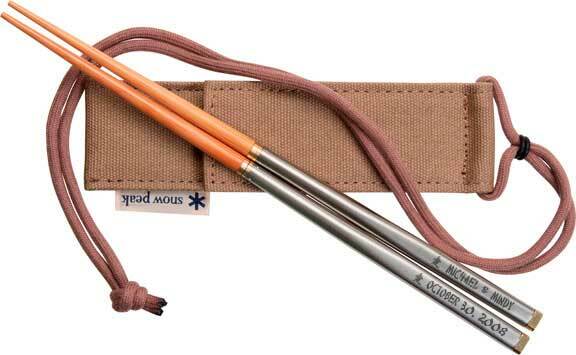 For travelers, Everythingchopsticks.com has a wide variety of everyday use chopsticks. You can even have some of them personalized. Happy travels!